So you’ve decided to buy a pair of designer shoes? That’s an exciting prospect in theory, but when it comes to choosing between the huge variety of options available, it’s easy to become stumped. With so many compelling women’s designer shoes on the market, it’s always sensible to think carefully and get a bit of help where possible. These tips should empower you and make the purchasing process less hassle. Designer shoes do not fit into a specific mould in terms of the materials used in their construction. Instead, you’ll encounter a wide range of products, from velvet and cotton to leather and silk. If you have ethical concerns about wearing shoes made using animal products, then this will be at the top of the agenda when you make your choice. Thankfully there are enough designers working with cruelty-free materials today that you can find designer shoes that will not force you to come to a compromise with your conscience. The style of shoe impacts how it looks, as well as determining how practical it is for the wearer and the kinds of occasions where it will be suitable. Designer shoes have an unfair association with discomfort, and while you can certainly pick up some sumptuous high heels from Nicholas Kirkwood and Dolce & Gabbana, it is equally possible to find slip-on flats and supple loafers from hot names like Alexander McQueen and Brunello Cucinelli. Essentially you’ll need to take the style you choose on a case by case basis, and it’s always sensible to keep up with the latest designer shoe trends, as you won’t want to spend hundreds of dollars on a pair that are already outdated by the time they arrive. This is another subjective point to consider that will be unique for each buyer, but the designer of the shoes you choose can have an impact on whether or not they are right for you. Some design houses are large enough to cater to almost every taste; with Givenchy, for example, you can expect to encounter everything from cowboy boots and electric pink high heels to fluffy slippers and subtle pumps. The smaller, boutique designers may offer less choice, but the level of individualism and exclusivity that comes with choosing them could make you feel more unique. Ultimately you need to follow your instincts and, if you are not certain, check out expert coverage to get a sense of which way the wind is blowing for specific footwear trends. Some designers and the products they create are timeless, while others may fall into obscurity as quickly as they rise to prominence, so it is worth having your finger on the pulse. 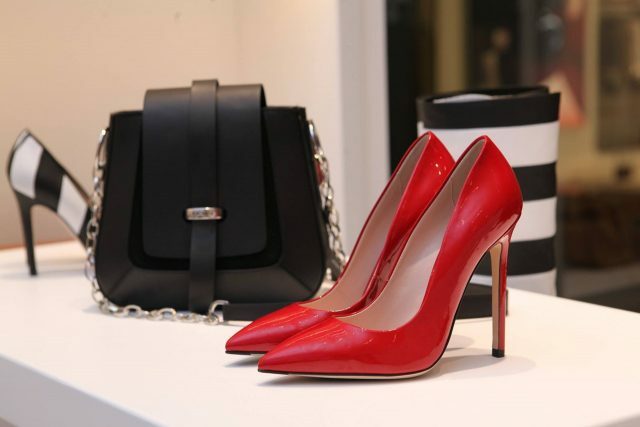 If you are shopping for designer shoes, you might not be too concerned about the sticker price, but no matter how beefy your account balance, it pays to take cost into account. Different designers can occupy higher or lower price brackets, depending on their reputation. And there is no shame waiting until the end of season sales to kick in to get the footwear you’ve been craving. FUR HOODED COATS: HOW TO CHOOSE THE RIGHT COAT?